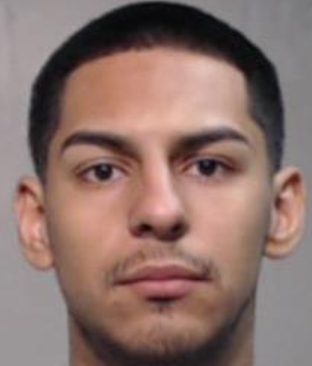 McALLEN — A pair of roommates were sentenced to five years each in connection with a marijuana conspiracy. Arturo Garza III, 24, and Arturo Jose Quiroga, 19, each stood before U.S. District Judge Randy Crane for their respective sentencing hearings Monday morning. Garza of Alamo, and Quiroga of San Juan, were friends and roommates who were caught last November attempting to smuggle a large amount of marijuana near Alamo. Quiroga and Garza, who have been in custody since their November 2017 arrest after they were found with more than 600 pounds of marijuana near Alamo, each pleaded guilty in February to one count of conspiracy to distribute marijuana, court records show. On Monday, Crane handed down a 60-month sentence with four years of supervised release upon completion of their mandatory sentence for each of the two defendants. The duo was arrested near Alamo on Nov. 21, 2017 after U.S. Border Patrol agents observed two men later identified as the aforementioned pair in a pickup truck traveling toward the Rio Grande, then it made its way to a wildlife refuge in Alamo, the complaint states. Inside the Silverado, Border Patrol agents could see wrapped bundles in plain view. “It was later determined that there were a total of 11 bundles of marijuana recovered from the Silverado weighing approximately 287.86 kilograms,” the complaint states. After a search of the area, agents found Garza and Quiroga running south in the field. Garza, who was the driver of the pickup truck with Quiroga as his passenger, told agents he was a convicted felon who was short on money and was contracted the day before by a person named “El Whiskey,” to transport marijuana, the complaint states. The following day at around 2 p.m. Garza said he received a call from “El Whiskey,” as to where he would be picking up and dropping off the loads of marijuana. “Garza advised he remained on the telephone with ‘El Whiskey,’ the entire time he was driving and was being instructed by ‘El Whiskey,’ where to go,” the complaint states. Garza, upon making it to the banks of the Rio Grande, noticed as many as seven people approach his truck. 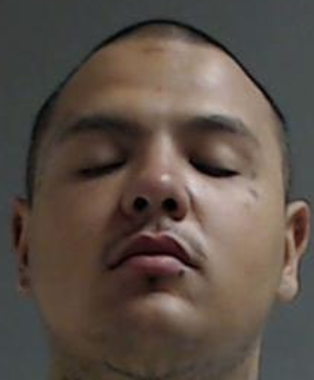 Garza told authorities that in exchange for their successful transport of the more than 600 pounds of marijuana they were to receive between $1,200 and $1,500, which they planned to split between each other. Crane also assigned each defendant to participate in a drug treatment program.